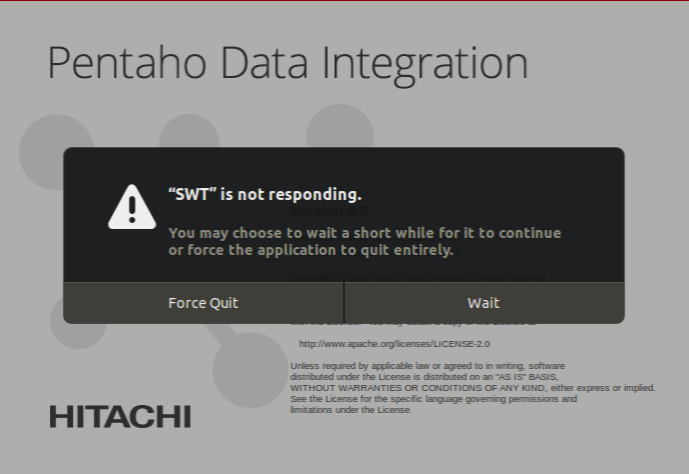 I launch the spoon.sh and there is a button Marketplace on Pentaho`s Welcome screen. It seems to be easily pushed, but nothing happens after pushing! What else can I do to open Marketplace? It seems like a problem with dropdown windows, but also can be some another. P.s. this happens while launching. Is it affects? There can be folders named data-1, data-2 .. enter in each one and delete all the content, JUST the content, not the entire folder. When i was answering that time i found some other alternatives, but that was for version 7.0, in any case, the solution was that some versions of JDK/JRE (JAVA) were incompatible. I use JRE1.8.0_181 and JDK1.8.0_131. Not the answer you're looking for? 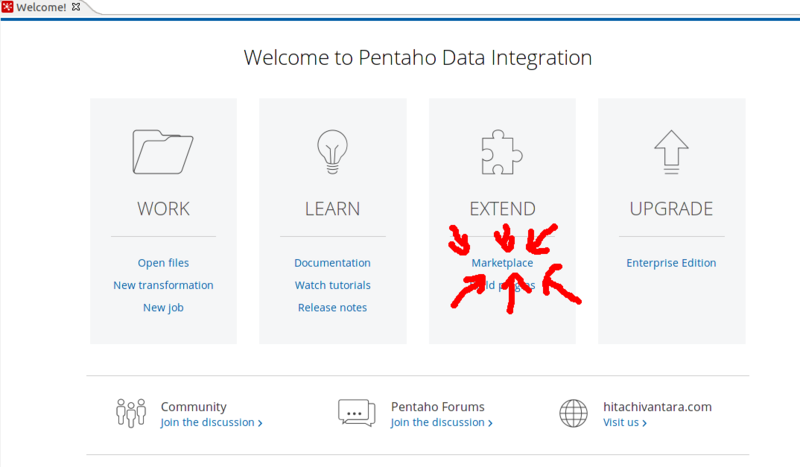 Browse other questions tagged plugins pentaho pentaho-spoon pentaho-data-integration marketplace or ask your own question.